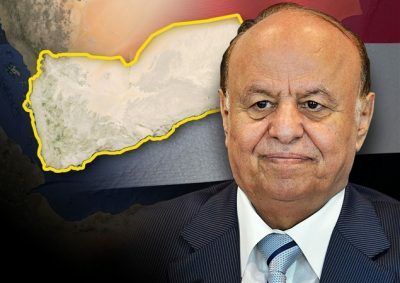 The internationally recognized president, Abd-Rabbu Mansour Hadi, transferred his military powers to the coalition’s commander in coinciding with his mysterious treatment trip to the United States, according to an official military document issued by the coalition’s leadership in Marib. The document, was declared by commander of the Saudi coalition’s forces in Marib Al-Anzi, and addressed the Chief of Staff of Hadi Forces, which includes the orders of Hadi and the commander of coalition’s forces in Yemen Turky Al-Saud. The document asks to take the directions of the field operations from the Commander of the coalition and shall be considered the directions of His Excellency President Abdurabo Mansour Hadi, according to the text of the document. The document states that the mandate given by Hadi to the commander of the coalition’s forces backs to May, the same month in which a US agency revealed that Hadi would travel to the United States on a treatment trip for a long time, but it was delayed before the leaving of Hadi earlier this month suddenly to the United States.